In Nickerbocker Properties Inc. XLII v. Delaware Cty. Bd. of Revision, 119 Ohio. St. 3d. 233, 2008-Ohio-3192, the Supreme Court of Ohio overruled the Board of Tax Appeals (appeals court for tax matters) ruling that had claimed such Board of Tax Appeals had no jurisdiction to vacate a Board of Revision (the first step in challenging real estate valuation) Order that increased the value of a taxpayer’s property. In Nickerbocker, the taxpayer never received a notice of a hearing because the proper address was not put on the complaint. The taxpayer argued that the Board of Revision should have dismissed the complaint totally, because of the faulty address, and left the value of the property the way it was before the Board of Revision increased it. The taxpayer further argued that the Board of Tax Appeals had no jurisdiction (a form of authority) in the matter. 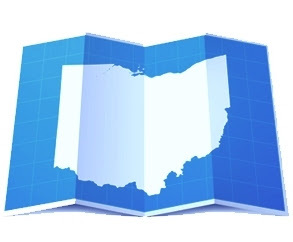 The Supreme Court of Ohio disagreed with the jurisdiction argument, ruling that once the taxpayer appealed to the Board of Tax Appeals, the Board of Tax Appeals had jurisdiction. The Supreme Court of Ohio held, however, that the use of the wrong address resulted in a failure to afford the taxpayer due process, as the hearing was held without the taxpayer, who was absent due to the faulty notice. Accordingly, the Ohio Supreme Court concluded that the Board of Revision had no authority to have ordered the increase in value. To make a long story short, the taxpayer wins the battle but loses the war, in this case. While the Supreme Court of Ohio ruled that the Board of Tax Appeals had jurisdiction (to tell the Board of Revision its increase in value without a proper hearing was invalid), the Board of Tax Appeals was also ordered to “remand” (give back) the case to the Board of Revision to prepare a new, correct notice and conduct a new hearing. While this seems like good news, it will just prolong the inevitable since the property’s increase in valuation was due to a recent, “arms length” sale, between unrelated parties, which the Ohio Supreme Court has ruled is not only the best, but the only real evidence needed by a Board of Education to prove an increase in valuation.